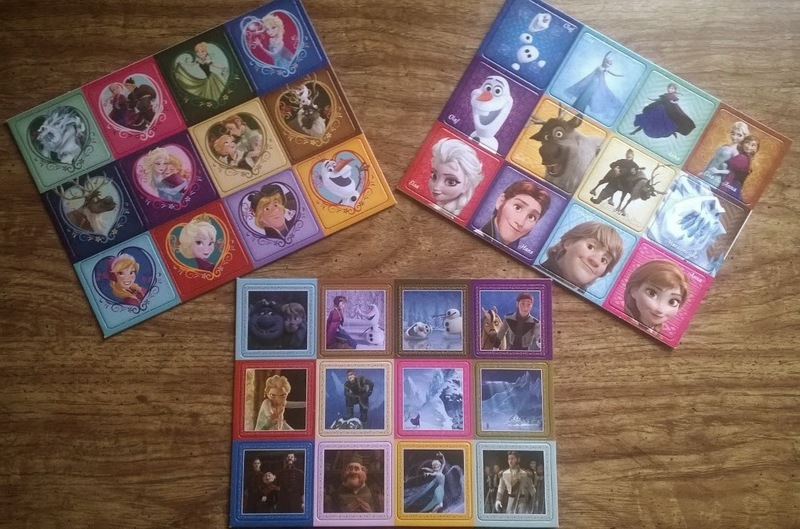 If your kiddos are like most American children, they have gone totally crazy for Disney Frozen. I know it is all the rage at our house. I'm thinking it is total payback for making my family watch The Little Mermaid over and over and over. I don't mind my kids watching a video now and then but I don't want them to be glued to the TV. So to lure them away and get them using some of their brain cells we play board games at our house. 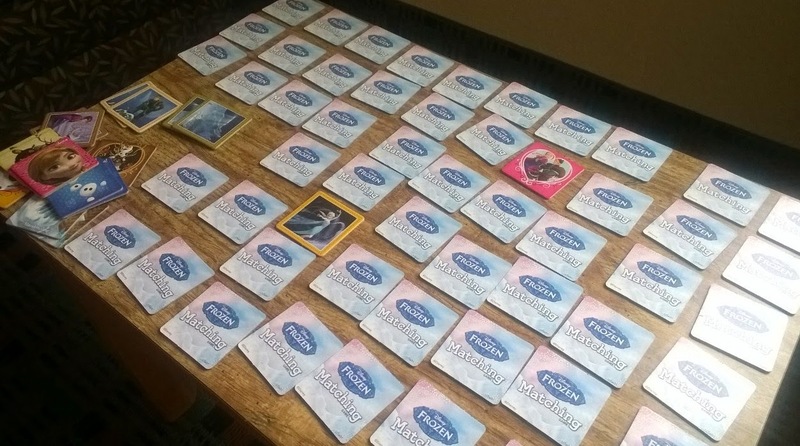 When we received the Disney Frozen Matching Game from Wonder Forge it was game on! The game comes with three different sets of tiles that can be used separately or all together. Once I broke them apart I put them in three separate baggies inside the box. I don't know about your house, but at our house there are days when the kids need some "self time" and it is handy to have them separate this way. I just pull out a baggie for each kid and send them to different areas to play quietly by themselves. We have a two-year-old that thinks he's as big as everyone else. 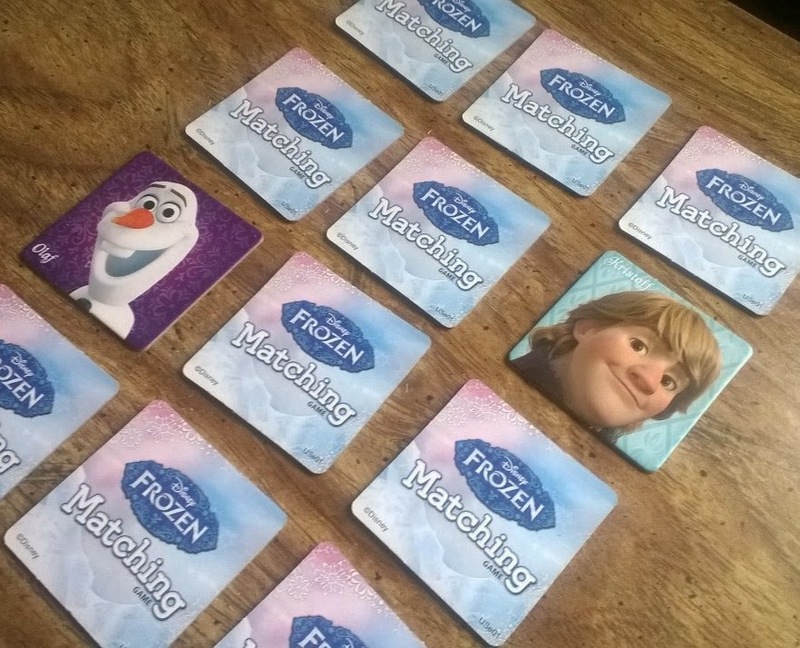 The blessing of this game is that it is versatile enough that I can sit and play a matching game with just him. We just use one of the packs of 12 tiles and he has so much fun. 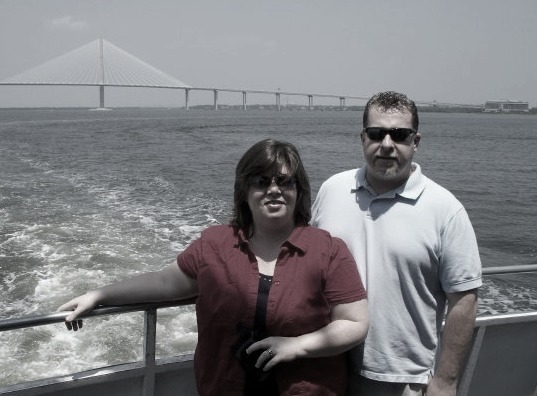 It is very manageable for him and gives him a great sense of accomplishment. When the older kiddo wants to play we use more of the tiles. When the two kids are playing we usually use two packs of tiles. But when friends are over we use all 72 of the tiles. 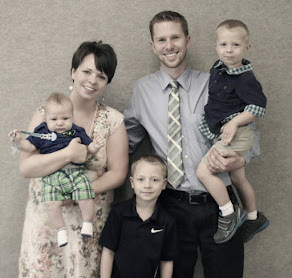 I really love that this game is so adaptable to the many needs of our family. Did I happen to mention that it is portable and it uses NO BATTERIES?!! All the major retailers are carrying this game so go grab your family a copy. It is Springtime and you know that there are going to be rainy afternoons in your future. This is a guaranteed sanity savor! 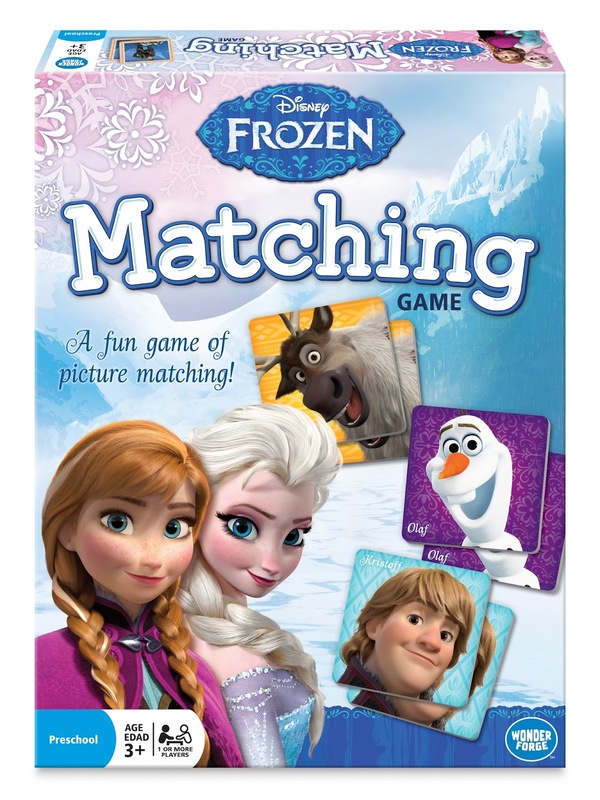 The wonderful people at Wonder Forge have partnered with us to giveaway a copy of Disney Frozen Matching Game to one of our readers. If you would like a chance at winning for your family just use the Rafflecopter form below. The giveaway is open to all U.S. residents that are 18 and older. Oops, forgot my name on that! Lol. We love Olaf! And of course the Let it Go song!! My daughter sings Let It Go endlessly! And she loves Olaf & Sven! My daughter sort of meshes all the songs together into one big medley- always makes me smile. My daughter loves to sing along to Let It Go, but I adore Love's an Open Door!